The Cute Gardener calls me a pork whore and it’s a moniker well deserved because I am the kind of girl who dreams about pork belly on a regular basis. Nary a menu passes my eye with a pig terrine, pate, and bowl of crispy pig ears, sheath of prosciutto and jambon or savory and juicy pulled pork bits without escaping my ravenous order. I prefer the funky parts, the exotic applications, the gourmet mousses, the barbecued tail and the knobby knuckles with caramelized between bits over the tenderloins and more prime priced roasts. There’s just something wicked about the pockets of flavor found all over the beast of my favorite meat. One of my favorite things to make is a slow roasted pork shoulder. Over the years this has provided tender shredded meat for tacos, sandwiches, burritos, salads, and more. It’s absolutely special to cook this cut for hours and watch the science happen at the 100 minute mark when the fat and tendons break down completely, letting go of the glue that holds the meat together, and it becomes a luscious pile of shredded pork that falls apart with the gentle tug of a fork. This kind of dish is perfect for college football Saturdays when we don’t want to muck up the kitchen with lots of dishes but want something savory to enjoy between marathons hours of sports watching. Recently, we enjoyed pork sandwiches au jus that went perfect with yelling at the television for our teams to score a touchdown. 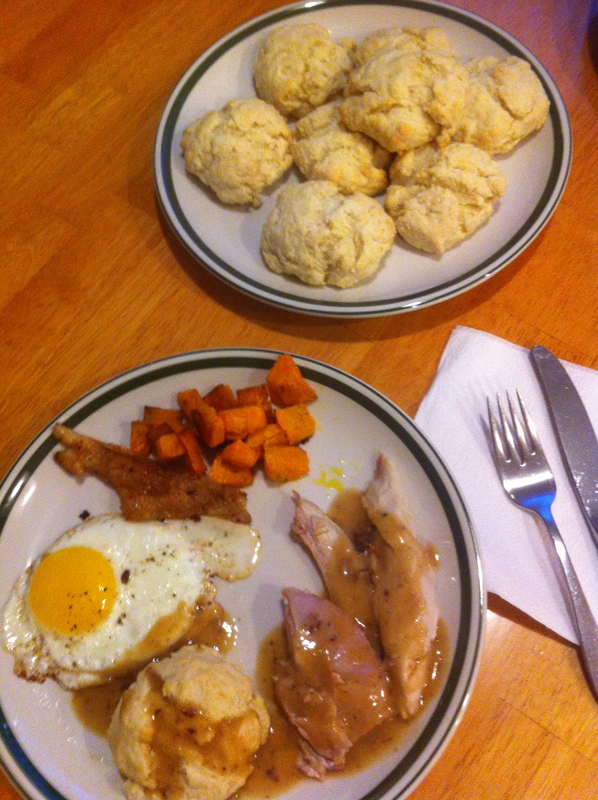 For this, I used Josette Batteault’s recipe from Food and Wine. Batteault and her husband are renowned for their charcuterie shop that specializes in all things pig so I figured it was a credible version to try. 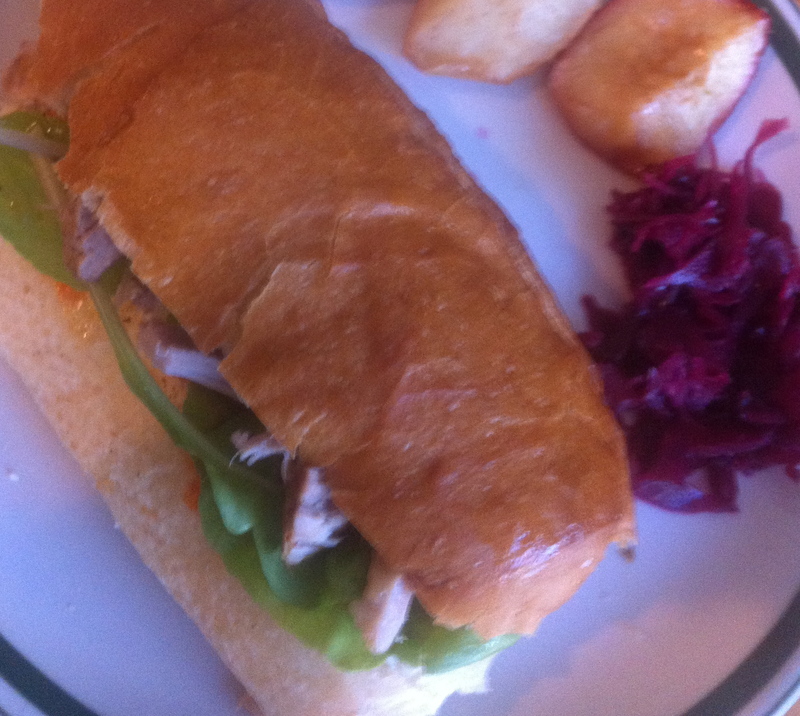 Once the pork was finished like clockwork at the two-hour mark, we shredded it onto toasted French rolls with melted provolone cheese, along with the juice from the pan, pickled cabbage and fresh arugula. The only addition I would make in the future, would be to add a few more onions and tomatoes in the beginning to secure more juice at the end for pouring over thick sandwich bread, lending more sogginess and textural differentiation to the overall bite. The only accompaniment, which was a perfect companion to this dish, were a few quick and easy roasted apples. To make, I cut up two apples and baked them in the toaster oven at 400 degrees for 15 minutes tossed with a teaspoon of cinnamon and a teaspoon of sugar. We also had pork leftovers that finagled their way into pursuant pastas and stir-fries. I have never been a fan or a follower of products claiming to deliver energy to the body. In my experience, everything that brings you up eventually either has you come crashing down or has a less that natural effect on your internal system that is completely opposite my normal holistic philosophies of ingestion. I cringed when my girlfriends were going through the Fen-Phen dieting phase, when others started drinking Red Bull and using taurine religiously and find most things claiming to “boost” a human simply poisonous. 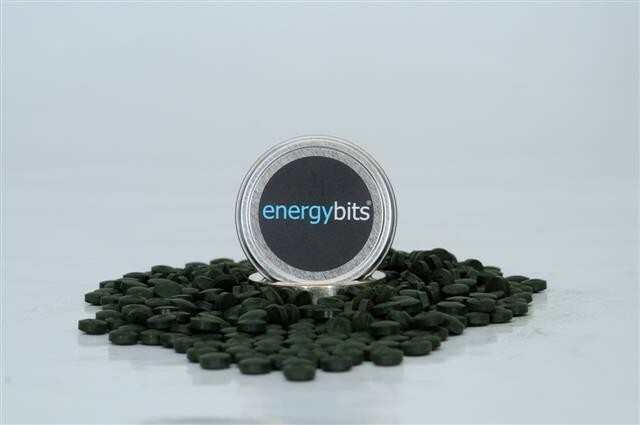 So I was very curious when I discovered the company EnergyBits and came to find out that their product, which they coin a “tool for fitness” claimed to be made out of 100% green algae—spirulina to be exact. I am a huge believer in algae and have been for years. There’s no denying that every time I have algae powder in a smoothie or pop a spirulina pill, I feel better like a river of crystal blue water has entered my bloodstream. On further investigation into algae, there is no rush or crash or stomach distress because it is an actual harvested food crop unlike a lab made supplement and is the highest edible protein in the world. It’s like super green organic power. I immediately contacted the company and requested a sample. In the literature sent with my sample, it stated that when algae is taken prior to any activity, including a fitness class or workout, it improves your energy, increases your stamina, clears your mind and eliminates your fatigue or hunger. I recently embarked on a three times a week hour long run schedule that spiked my normal fitness routine up a level and on week two of this endeavor I was feeling the usual lull that happens once you realize that routine has hit. Getting out the door was becoming tough because I had lost the element of surprise with my routine and knew the hills that were ahead of me as well as the heat of summer that would bear down. I had started to learn about foods like apples with a swath of peanut butter that I could eat an hour before my run and hopefully gain a bit of a boost but I wasn’t so excited about taking in extra calories just to work out. So I was in prime mode to try these odd little algae Energy Bits that are one calorie a pop and that you are supposed to swallow in servings of 30 at a time. The thing is, they actually REALLY worked. I popped the forest green balls that tasted like trees and under the sea funk (which I particularly like and I know that makes me strange) and had an amazing run. A run in which I energized throughout and in which I ran faster than before. I also felt strong, like my muscles were coursing with an enhanced push. But I didn’t feel chemically altered or sped up in a tweaky amphetamine way. Afterwards I went about my normal business with no side effects. Like everything in life, I don’t know if I would want to take them every single day. I don’t want to be that dependant on something nor do I want to risk too much of one thing in my system on a regular basis without having more information about potential long-term effects. But I will definitely be using these when it’s a low time of the month or I am particularly unmotivated or I’m coming back from a vacation or otherwise lull in my pace. They work. I have never bought in to the whole food truck craze completely. When I first met the Cute Gardener he cringed at the words food truck and told me flat out that he refused to eat off of them. “If I want to go out to eat, I want to sit down at a table with a fork, knife and spoon,” were his exact words. Of course I’ve bent my own rule on a few occasions only to be spoon-fed a reminder about my original convictions back into my mouth like bitter medicine because the food was so bad. I tried pork stuffed Korean buns once at a downtown L.A. food fair that were dry and lifeless. I fell into the mozzarella cheese stick stuffed melted sandwich seduction two years in a row at Coachella only to continually come up against cardboard slices of bread and lukewarm globs of cheese. I’ve bought overpriced adult snow cones in Chinatown when dying of thirst only to be let down by lackluster flavors. I tried the famous grilled cheese truck at an opening at Bergamot Station that would’ve tasted better if a child had made it at home. Recently, the CG and I even gave our hope and faith to a Bostonian lobster roll van that promised flaky fish and chips and other seafood delights. Thirty bucks and twenty minutes after ordering we were left feeling disappointed by the small, burnt sandwich and nonchalantly fried fish that we were handed. What I’ve ascertained from all of this is that food truck congregations are our post-millennium version of mall food courts. But what were we expecting in the first place? What we have learned from all of this is that food trucks don’t mean good food. There’s some mystical spell that falls over people though when they hear they can buy some grub on the street off a moving vehicle; they somehow lose sight of their palates and think they can’t live without this novelty. 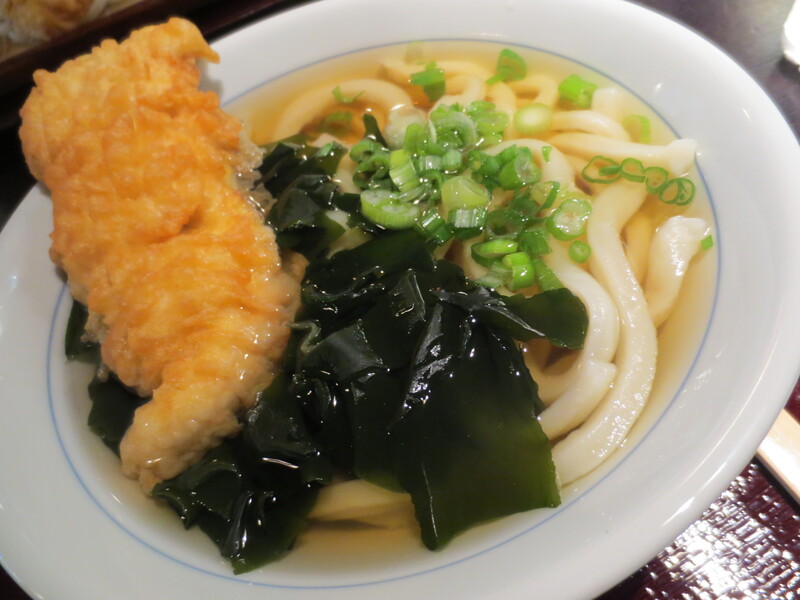 Even if the food is lesser quality then something they would order at a restaurant, they still ooh and ahh over the fact that they can get it, spur of the moment, while strolling the promenade in front of their house on some random afternoon. I don’t get it. Cramped and swaying kitchen quarters, limited electricity, few modes of equipment, and sporadically monitored refrigeration and climate control does not spell ‘YUM” to me. There are two exceptions. The ice cream truck and the taco truck have been around since the beginning of motor vehicles and largely what the whole trendy food truck craze was originally inspired by. I have thoroughly enjoyed each in my life from the orange push-ups, AstroPops and big sticks of my youth to the exotic Coolhaus gourmet ice cream sandwiches hawked around the museums of L.A. on sunny days that pair things like whiskey or strawberry shortcake ice cream with monstrous over-sized dark chocolate and spiced molasses cookies. But my favorite is the taco truck, first encountered in the back alleys of industrial Southern California when the lunch bell rang and out from the doors of printing shops and mechanic garages fell grease fingered blue collared workers looking for cheap eats to fill them up for a long afternoon ahead. There’s nothing that difficult about heating various forms of meat and tortillas and throwing on some quick condiments and veggies. It had been done for generations in Mexico on the sides of the road out of a simple lean-to counter rolled around to various locations so by the time they started appearing in trucks, it was down to an art. 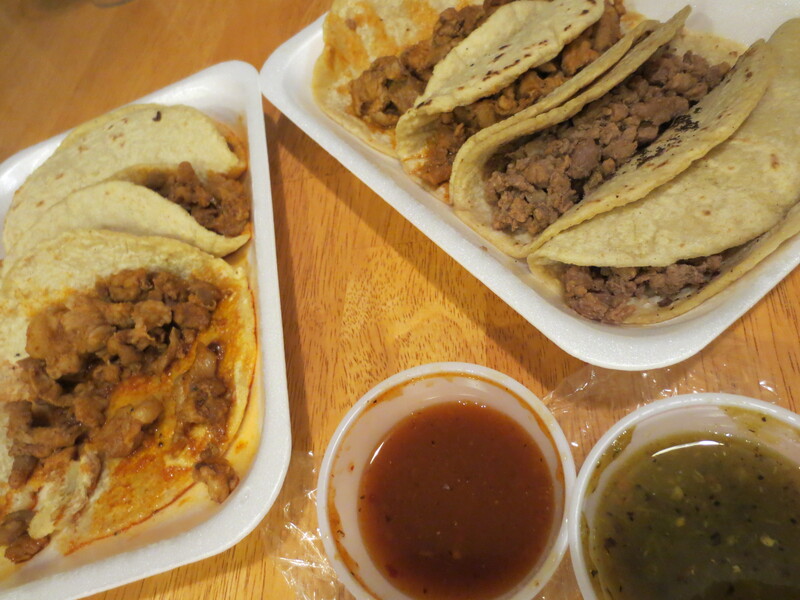 We had heard about Don Cucos taco truck in the San Fernando Valley and had been dying to go but were waiting for a night when we would need good food late. After a long Sunday, we finally got our chance and headed out in the car along the boulevard we knew it camped out at nightly until 1 a.m. It was nine thirty at night and we were looking for a green neon rectangular sign that meant we had found the right truck. The most hilarious thing was that we found two trucks before the right one which also had green neon signs that were trying to steal business from the popular Don Cucos. When we finally found it, there were at least thirty people there, including families with children on plastic chairs around pop up tables enjoying their meal. 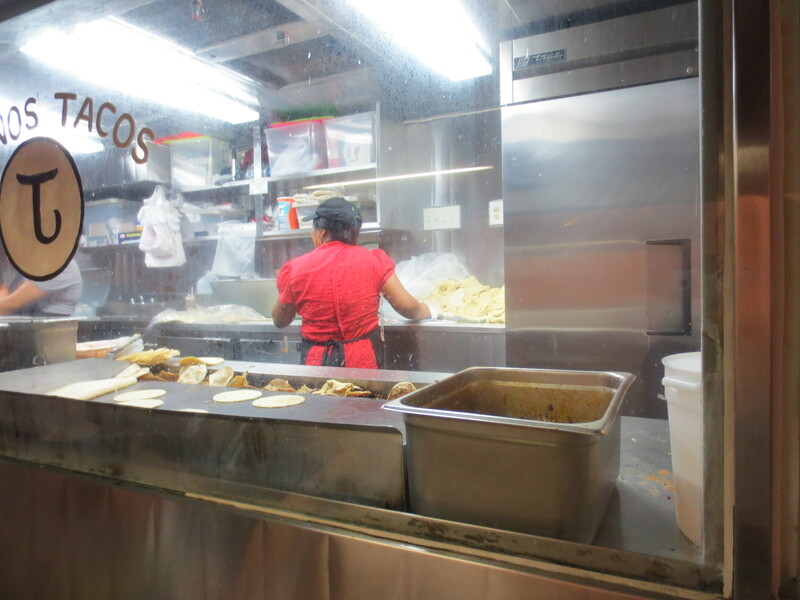 All the tacos are $1 and come on freshly made tortillas that you can watch through the window being molded and cooked from a large pile of yellow masa. Four ladies in baseball caps work the assembly line whipping out simple meat tacos including beef, tongue, pork, chorizo and chicken. All the normal accoutrements from hot radishes to cilantro to various types of salsa are available. 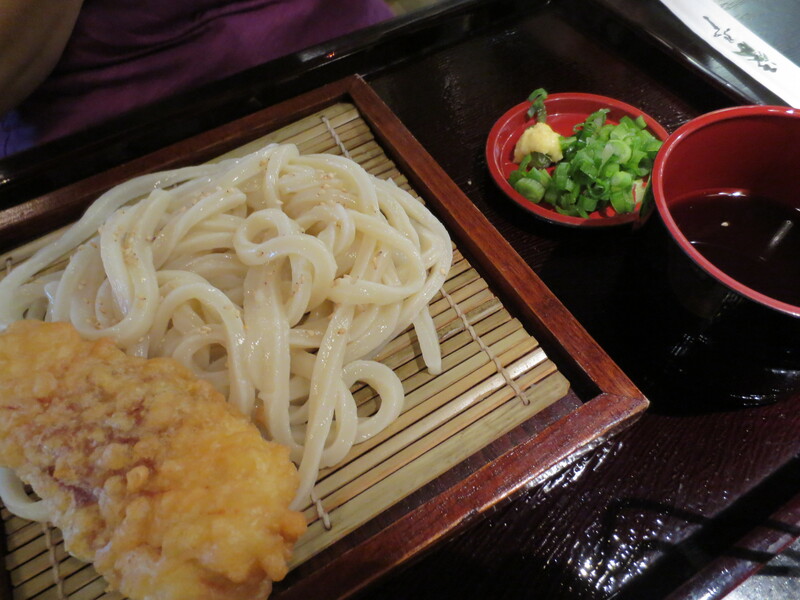 Everything was simple, tasted great, and was dirt-cheap. That’s the kind of thing you expect from a good food truck … not mediocre versions of restaurant food, an on board DJ and fancy vinyl logo graphics – just plain and simple fare that’s been around for ages. A breadbasket is a breadbasket, right? Sometimes it’s good. Sometimes it’s not so good. But even in its lowlier moments, you willingly dive into it upon sitting down at a restaurant knowing there’s nothing warm or crusty that can’t be fixed with a little helping of butter or olive oil. At least this is the way I thought before opening the breadbasket at Beverly Hills’ Scarpetta and finding the prototypical pre-meal ritual elevated to a religious experience. At the bottom of its cloth-lined berth beneath the toasted foccacia cubes and exquisitely dense French loaf sat four thinly sliced pieces of heavenly Stromboli. Like a pearl at the bottom of an oyster it was unexpected and generous. It also tasted like a gourmet sliver of soft, doughy, pepperoni and cheese-laden heaven. 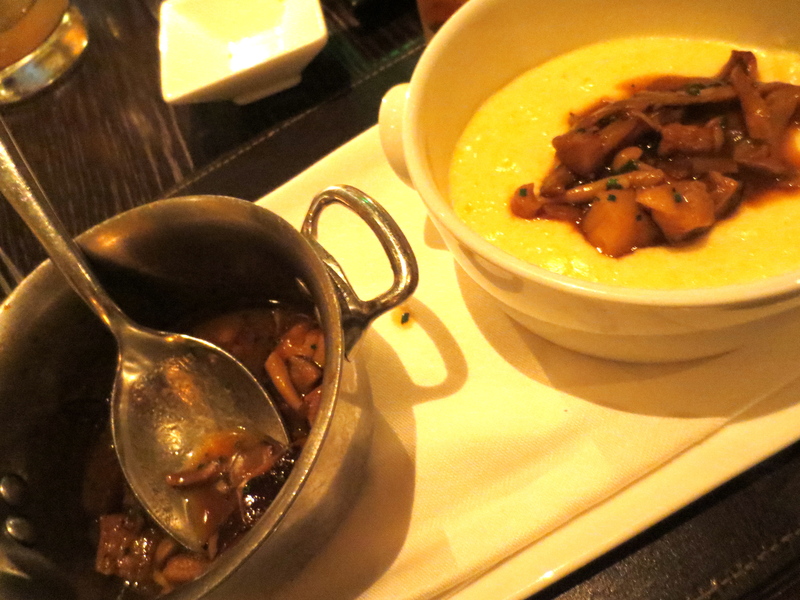 It was also accompanied by a savory eggplant caponata … and this was only the beginning. Scarpetta has been on my dining wish list for a while, ever since first encountering owner Chef Scott Conant’s warm and comforting wisdom as a judge on Chopped. I figured his Italian food restaurants of large nationwide acclaim would be great if they were mirrors of his personality. The Cute Gardener confirmed my assumptions as he had dined there shortly before we met and was still hankering for their appetizer polenta with mushrooms. We even snuck into their swank bar for a delicious cocktail one night before meeting friends for dinner across the grassy courtyard at Bouchon so it was high time we finally made it there a few weeks back. If the Stromboli hadn’t of sealed the deal for me, the aforementioned polenta with mushrooms certainly did – it was the most decadent and creamy version of the staple Italian peasant food that I’ve ever had. It didn’t matter that the wait staff that evening was a bit off – it was after all a busy and boisterous Friday evening in Beverly Hills in a large fancy space meant for seeing and being seen amongst a myriad of the rich and beautiful filling the dining room with the clang of high heels, gold, crystals, and a bevy of faux body parts. It didn’t matter that we were seated near the kitchen and could see the smoking patio with all of its inhaling denizens just outside our vision. It wouldn’t have mattered if the walls had fallen away around us in the middle of a snowstorm for that matter. All that mattered was the food –every plate was special: perfectly cooked, flavors expertly coaxed, and portions just enough to tease you into wanting more yet sating you completely by the last lick of complex sauce off a fork. 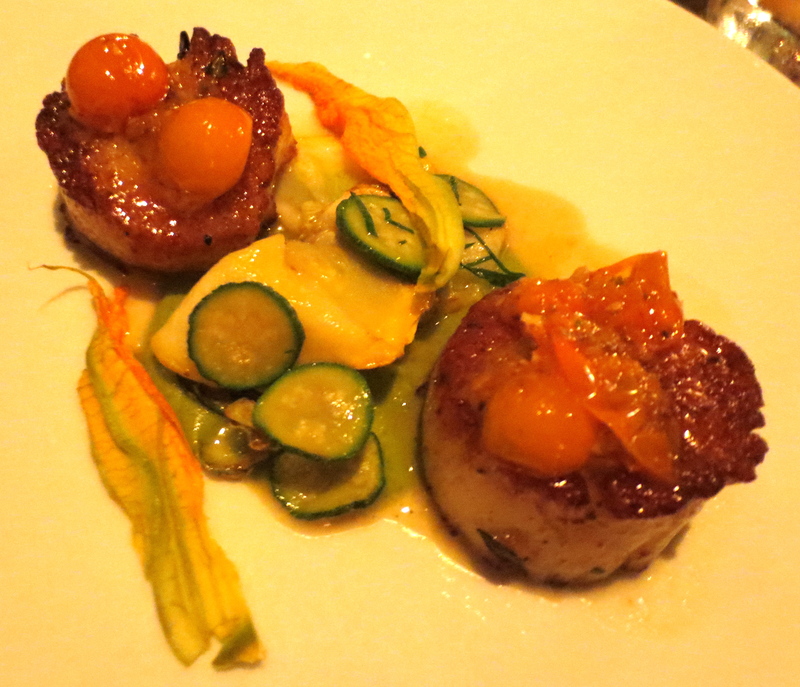 Roasted scallops came with a caramelized char and then dimpled inward towards a creamy middle. The tiny summer squash melee was spiked with brightness that oozed into the miniature halves of juicy cherry tomatoes creating a tangy sauce. 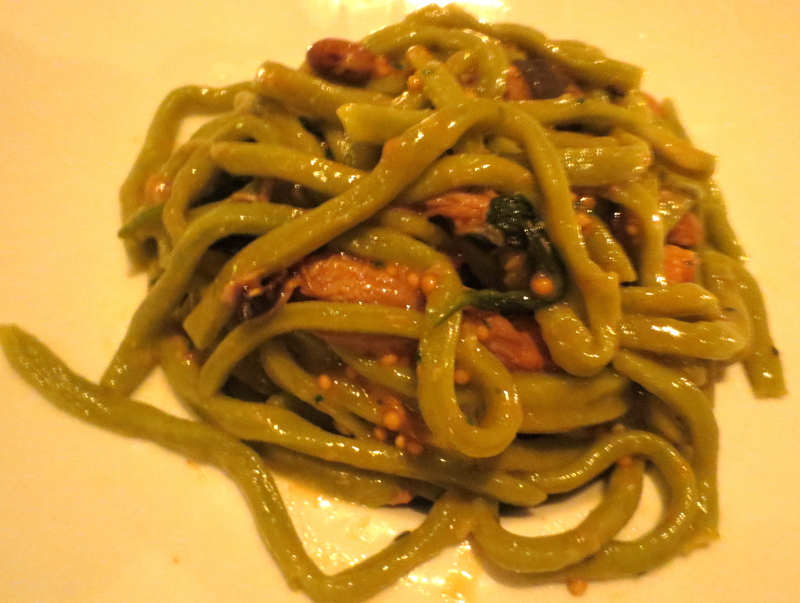 A quirky spinach pici, or thick hand rolled spaghetti, was extremely fun to eat with varying widths and nodules that soaked up the earthy morels and braised duck leg meat that tenderly splayed between its strands. 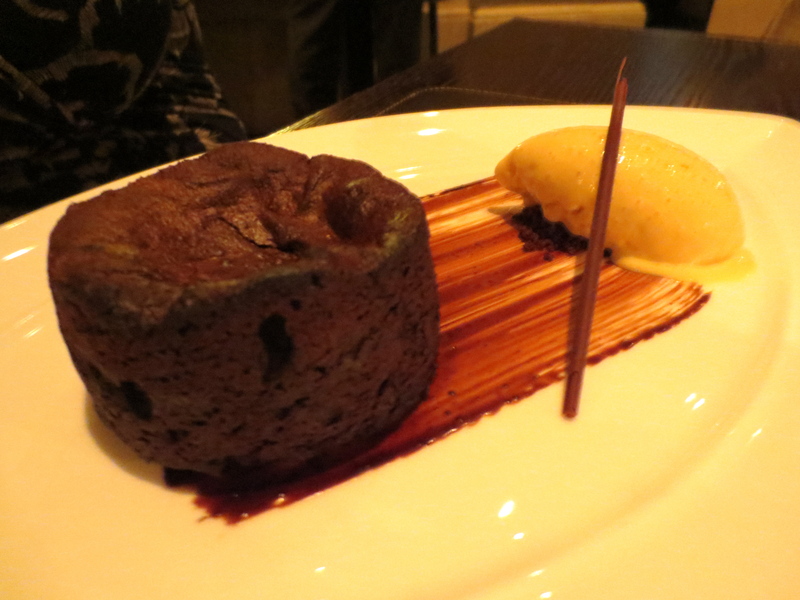 A dark chocolate cake came like my favorite dark chocolate bars – bitter, dense, and chock full of cacao that was soft on the outside and hot in the middle. Burnt orange gelato made me miss my time in Sorrento when I had stayed at an equally posh hotel as the one I sat in now albeit overlooking a sea and sipping limoncello. This dinner occurred with friends so we didn’t have our usual intimate, mealtime banter over each dish which gives me an excuse to encourage the CG to keep Scarpetta on our dining list so that we can do it up romantic style on another trip to rekindle my flame with my newly beloved Stromboli. The first time I had real deep dish pizza, it was proper Chicago-style in a wood-paneled old school politician’s lunchtime saloon on Lakeshore Drive where one pie came traditionally topped with just cheese, meat and tomato sauce and the other arrived with a gourmet flair topped with tender octopus. This was at least a decade before the octopus craze of today yet I fearlessly bit into a tentacle eager to get at the rest of the aromatic slice. I was only able to stomach a half piece of each pie as they stood about four inches high. My tongue was indelibly scarred by the burn of scorching hot cheese too good for cool down time and the perfect ratio of meat to sauce to a sturdy, yet perfectly inwardly wet and gooey cornmeal crust. I gave up searching for anything better – (why mess with perfection?) – that is until I met the Cute Gardener and decided to join him on the hunt for a real (or as close to it as we could get) deep dish in Los Angeles. We spent a year seeking out viable places and finally came up with a mere two. The first was Hollywood Pies. It was during one of our early dates when I knew I had hit soul mate eureka with this man who would attempt trekking with me on foot through the downtown freeway maze searching for an elusive in the middle of nowhere place to get a pizza. When we discovered the location, it was unfortunately closed and it took us a year to finally rediscover that a new storefront had opened on the Westside. We went and bore the brunt of a tiny dining space with a walk up ordering counter, nonchalant serving staff, visible wall insects and an hour’s wait time to try the pies. A true neighborhood joint, it was obvious that other patrons were from the 3-mile delivery radius as they came in toting their own wine bottles after smartly calling way ahead for their orders. 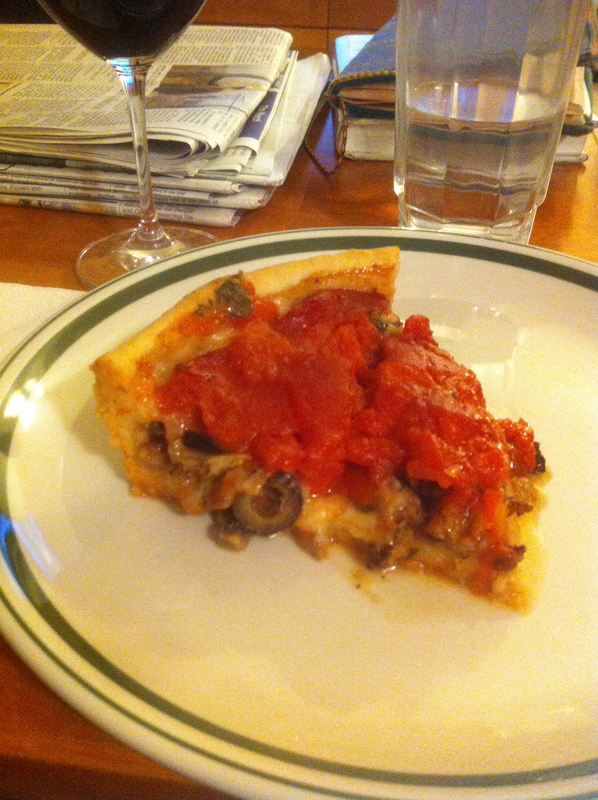 Other than being overly garlic-ridden, the pizzas were actually good but nothing compared to my first Chicago foray. 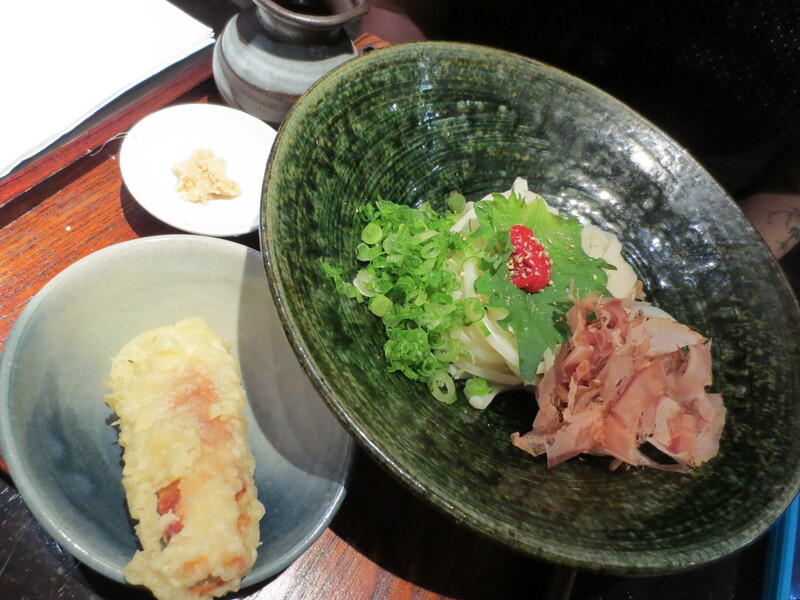 Our other option, Masa in Echo Park, was also good even though equally strange, housed in a half Asian-half Italian decorated restaurant that could double as grandmother’s living room. The pizzas there had nicely sturdy crusts, lots of tomato and a sausage patty that I loved but the CG thought was weird. Still far from the bliss originally found in Chicago. Considering those were our only two options and knowing that we were still hankering for a version that would satisfy our nostalgic longings for the classic and elusive Midwestern dish, the CG did what he does best: compiled all the notes from his brain that included the best parts of what we had tried mixed with the best pie of his deep dish fantasies and concocted one of his own for us at home. The homemade version, weighing at least five pounds in its cast iron vessel, became my favorite yet. 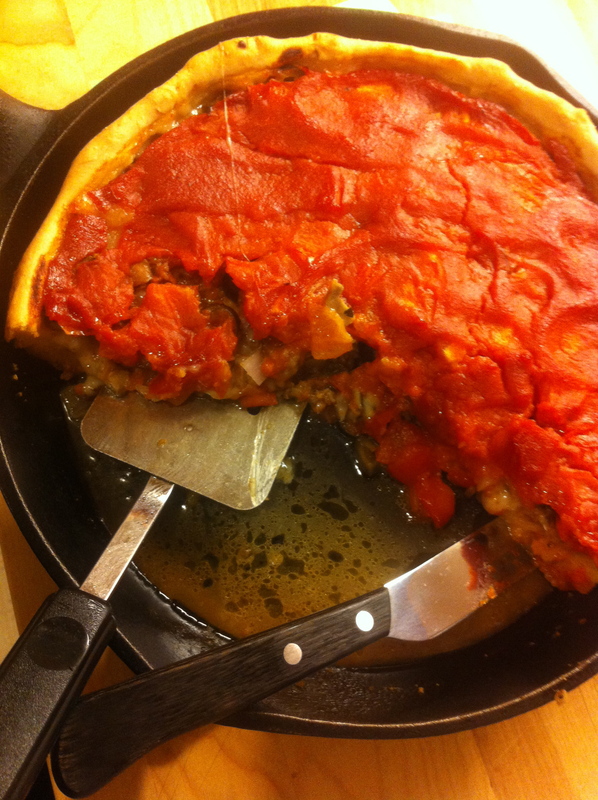 It had the three ingredients that are a must for a deep dish: a coarse and crunchy corn meal crust, sauce on the top and a bevy of Italian sausage as the meat. It also had beautiful sprigs of oregano from the garden as well as plenty of fresh plucked and chopped tomatoes. 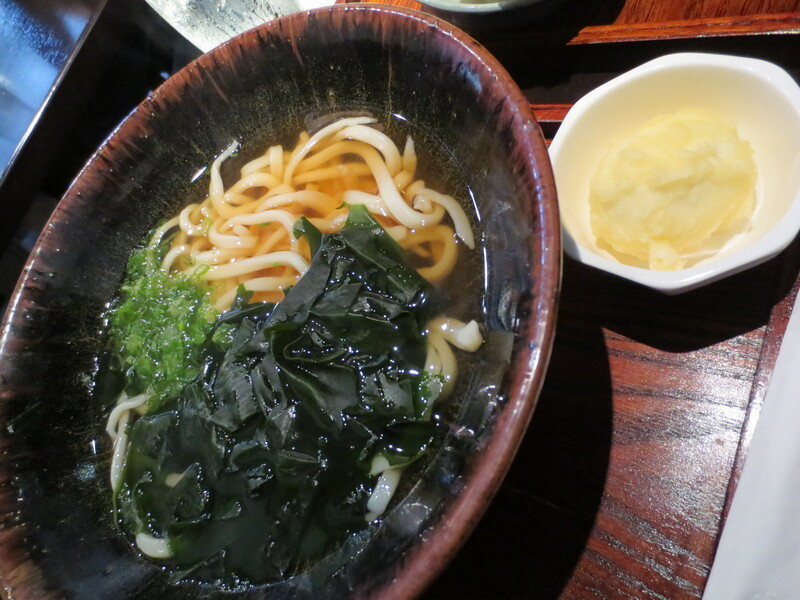 Little slivers of red onions, pliant mushrooms and black olives lent depth to the overall flavor profile. The layering was strategic so that every bite of vegetable was brought in with cheese and topped off with a tomato tang –all carried along on a crust that was good enough to eat alone and crisp enough to want to dip into a glass of red wine once the toppings were gone. Until an authentic deep-dish place stakes claim to a Los Angeles home, I am content knowing I’ve got quite the pizza chef of my own.